Just scoop and squeeze to get the perfect meatball every time. 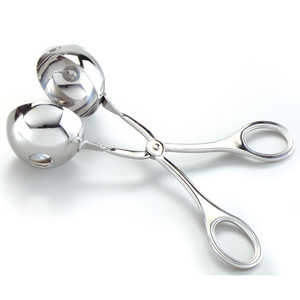 Ball measures, 1.75"/4.5cm Stainless steel construction. Can also be used to make melon balls. Hand washing recommended. 1.75"